It's an archetypal story of the modern record business - two guys with a dream running their nascent label out of a West Hollywood garage in the summer of 1962. The label quickly gains momentum and eventually becomes one of the most important record companies the world has ever seen. The two guys were Herb Alpert and Jerry Moss, the "A" and the "M" in A&M Records. By the way, it was Alpert's garage and that first hit was "The Lonely Bull," performed by Herb Alpert & the Tijuana Brass. And this year the two record men and UMe are celebrating the 50th Anniversary of their label. As part of the celebration, on August 28, UMe is releasing A&M 50: THE ANNIVERSARY COLLECTION. A 60-track, 3-CD set curated by Alpert & Moss, THE ANNIVERSARY COLLECTION perfectly illustrates what a potent effect the legendary label is still having on contemporary popular music. Perhaps because one of its founders was an artist himself - and a hugely successful one at that - A&M Records distinguished itself as an artist-friendly label, one that would stand behind artists they believed in, album after album, until they found their voice and an audience. "We wanted to make good records," says Herb Alpert, reflecting on the label's genesis. "That was our goal. 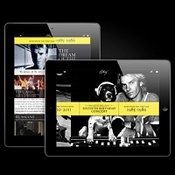 We felt if we made good records there would be an audience." Herb and Jerry's dedication to development resulted in some of the biggest superstars in music ever: Joe Cocker, Procol Harum, Quincy Jones, Billy Preston, Cat Stevens, Carpenters, Peter Frampton, Supertramp, Jeffrey Osborne, Styx, Bryan Adams, Joe Jackson, the Police, Sting, Janet Jackson, Suzanne Vega, Sheryl Crow, Soundgarden, and so many, many more. As iconic as the music released over the last 50 years by A&M Records was, so was the space that was home to the label for so many years: 1416 North La Brea, the former Charlie Chaplin Studios in Hollywood, and now home to Henson Studios. It's interesting to note that the state-of-the-art recording studio that Herb and Jerry built on that lot decades ago is still drawing top artists from all over the world to record there. "People hung out there," says Moss. "You took a walk on that lot and you wouldn't believe who you would run into. It was interesting to everyone who worked there and it was a lot of fun." 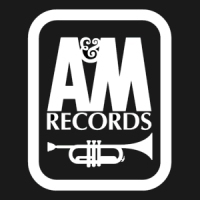 At A&M Records, Herb Alpert and Jerry Moss were able to build a haven for artistic development that rivals any record label in history. Maybe it's due, in part, to the fact that A&M was privately owned and run by its founders for the first 27 years of its existence. The environment they created helped spawn some of the most important artists in contemporary music, selling millions of albums worldwide in the process and creating a legacy that is virtually unmatched in the United States. As Sting so succinctly puts it, "We definitely felt nourished and sustained by a creative team." And now, with the release of THE ANNIVERSARY COLLECTION, music fans everywhere can sample the music of one of the greatest record labels of all time, all in one convenient place. Bid on a Fender Sting Signature Series Precision Bass guitar signed by Sting to benefit the Sweet Relief Musicians Fund, which provides financial assistance to career musicians who are struggling to make ends meet while facing illness, disability, or other health-related issues. The 1950s-style Bass features a vintage-style single-coil pickup, contoured body with 2-color Sunburst finish and Sting's signature in the block pearl inlay at the 12th fret. Please visit http://chrty.bz/NcgCMz to place your bid!